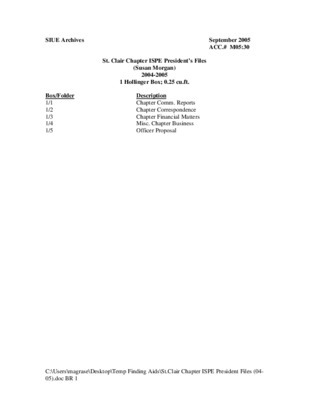 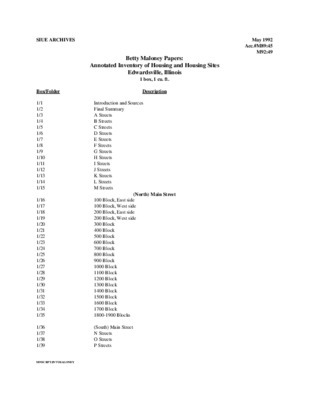 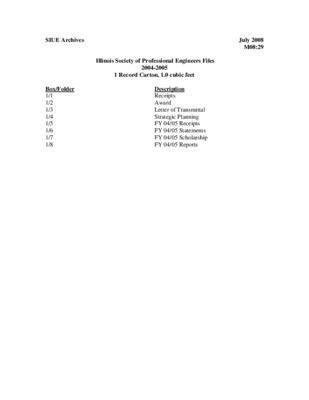 This collection contains materials produced by the Illinois Society of Professional Engineers, St. Clair Chapter from 2004-2005. 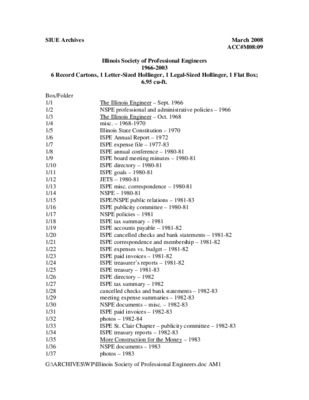 This collection contains materials produced by the Illinois Society of Professional Engineers, St. Clair Chapter from 1934-1996. 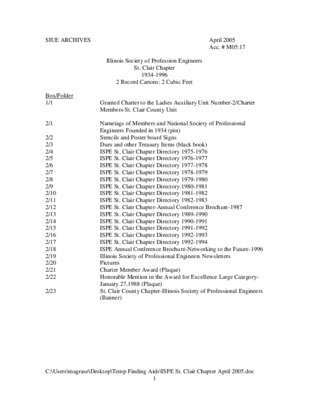 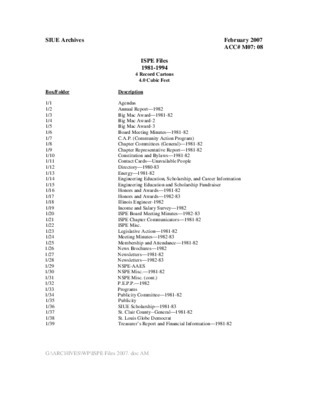 This collection contains materials produced by the Illinois Society of Professional Engineers, St. Clair Chapter from 1981-1994. 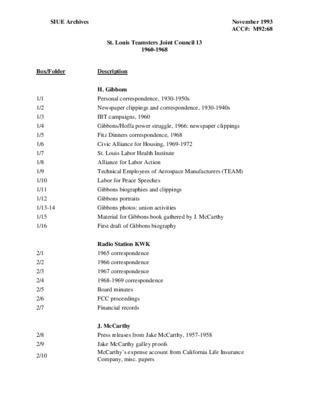 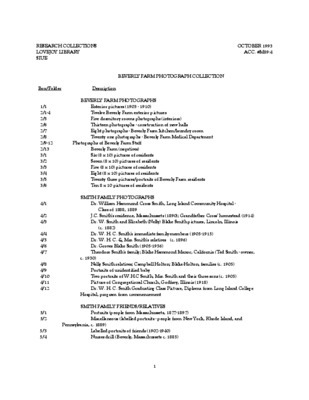 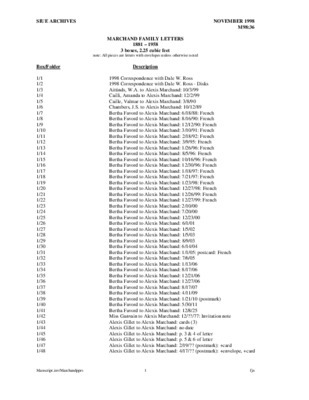 Correspondence of the Marchand family from 1881 to 1958.